Arthur Scinta is Pelham’s former Mayor and has been the number one ranked real estate agent in Pelham and Pelham Manor in total sales 2005-2016, having sold more homes in Pelham than any other agent in that time. He has completed nearly $300 million in Pelham home sales since 2005 and has repeatedly set new records for the most single family homes sold in Pelham in one year. He has consistently been among the top 15 agents of over 1200 throughout Houlihan Lawrence’s Westchester offices. In addition to having held elected office, he has been active in a variety of civic, charitable and religious organizations during his 25 years as a resident of Pelham. Mr. Scinta is an attorney and practiced law for more than ten years at one of Manhattan’s leading law firms where he represented Fortune 100 companies in some of the nation’s largest mergers and acquisitions. 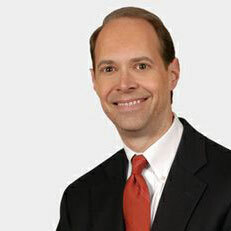 He joined Houlihan/Lawrence in 2004 to open the firm’s new Pelham office. Prior to joining the firm, he was a commercial real estate broker in Westchester and Fairfield Counties. In addition to a Juris Doctorate, Mr. Scinta also holds an undergraduate Bachelor of Architecture degree and has professional historic preservation experience, having worked for, and served on the boards of, a variety of not-for-profit organizations dedicated to the preservation of historic landmarks. In Pelham, he is founder, a past President and current board member of the Pelham Preservation & Garden Society, which promotes the preservation of historic architecture and the enhancement of green space in Pelham. Arthur acted as our buyers agent when we bought our home in Pelham in 2017. He showed us a number of properties in Pelham and once we chose the one we wanted to purchase, he was very pro-active in making this become a reality. He is extremely professional, has excellent local knowledge and was really a great asset to us in negotiating this transaction. Would highly recommend!